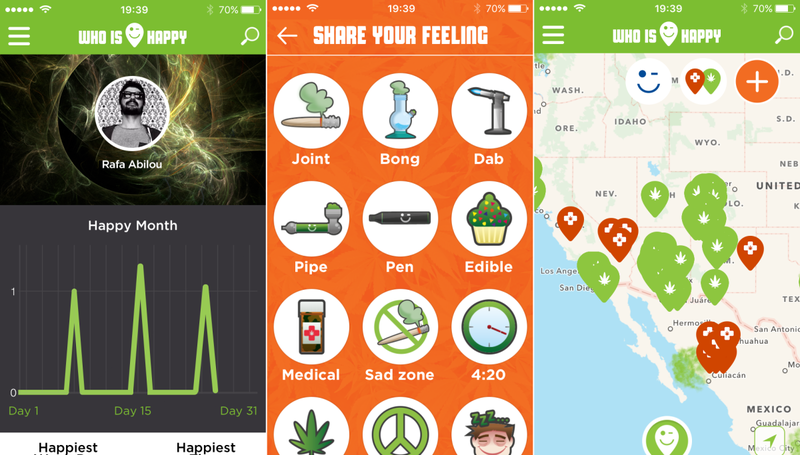 Who Is Happy, an iOS and Android app for stoners that allows them to share the approximate location and time of where they smoked a joint, is adding a new feature that shows the location of marijuana dispensaries and other information. With the rise of apps catering to tokers, Who Is Happy doesn’t really offer a whole lot in its current incarnation. From Monday, however, you will at least be able to view dispensaries, headshops and doctors specialized in cannabis on a map. Each is denoted with a pin, and gets 10 percent bigger ever time you check in. In addition to the location data, there’s also a new sticker feature, presumably because that’s the preferable medium of communication if you’re stoned.